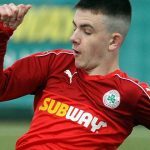 Today marks five weeks until the draw for the First Qualifying Round of the Europa League and, as Cliftonville prepare to make their return to the tournament following a one-year absence, cliftonvillefc.net is delighted to present the web’s most detailed guide to our full list of potential opponents. 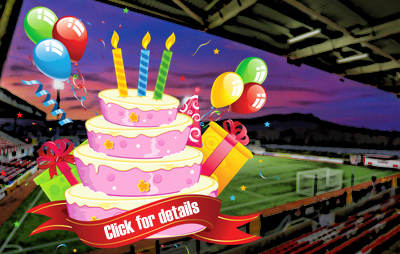 Simply click here to run the rule over all confirmed qualifiers as well as sides across the continent who are still battling to secure their place, with supporters advised to make regular checks to this section, which will be periodically updated to reflect the latest standings, thus bringing a clearer picture as to the identity of the Reds’ next continental opponents. 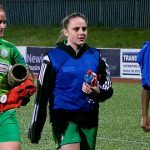 Included among the teams jostling for position are no fewer than four sides whom Cliftonville – who will be Unseeded for the First Qualifying Round draw – have previously met in UEFA competition. Danish giants FC Copenhagen (2008 UEFA Cup) are in the mix, as indeed are 2014/15 Champions League foes Debrecen of Hungary and Bulgarian outfit CSKA Sofia, at whose hands we suffered Europa League elimination in 2010, while AEK Larnaca – who recorded a comeback success over the Reds in the same competition two years ago – are one of the Cypriot teams battling to make the grade. 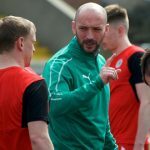 A clearer picture of Cliftonville’s likely opponents is expected to emerge towards the end of May and, as ever, our Official Website will bring you all the latest developments to ensure you’re fully up to speed ahead of the draw on Tuesday, June 19.